Brown Oak has the beautiful rich glow reminiscent of old world charm. It has been the wood of choice for many European mansions and castles and cathedrals. Much of it is cut into boules. 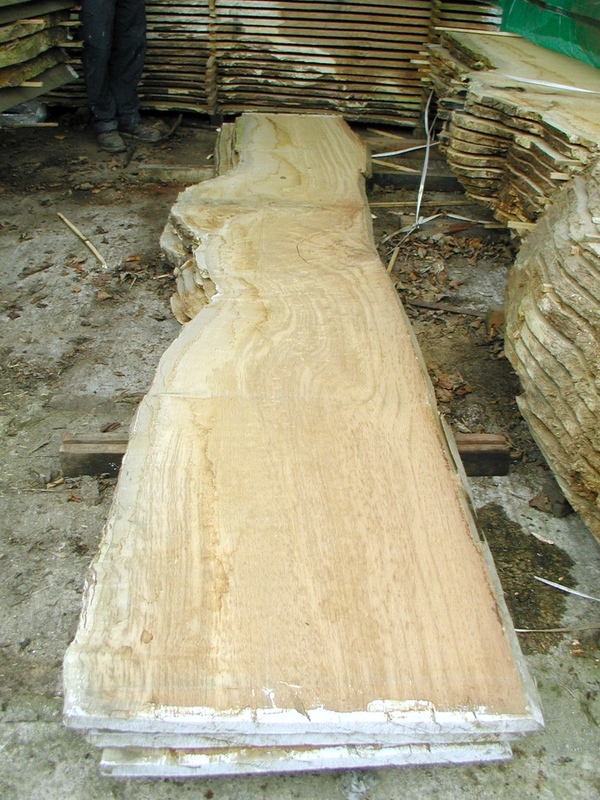 It is technically European White oak that gets it’s distinct coloring from Fistulina hepatica, a bracket fungus most commonly seen in Britain. This will start with light brown streaks and progress to a darker tones. This results in some color variation in Brown Oak. Boule sawing and keeping the wood in matched flitches produces the best uniformity of color. Once the wood has been cut and dried, the fungus dies, leaving a rich golden brown lumber. 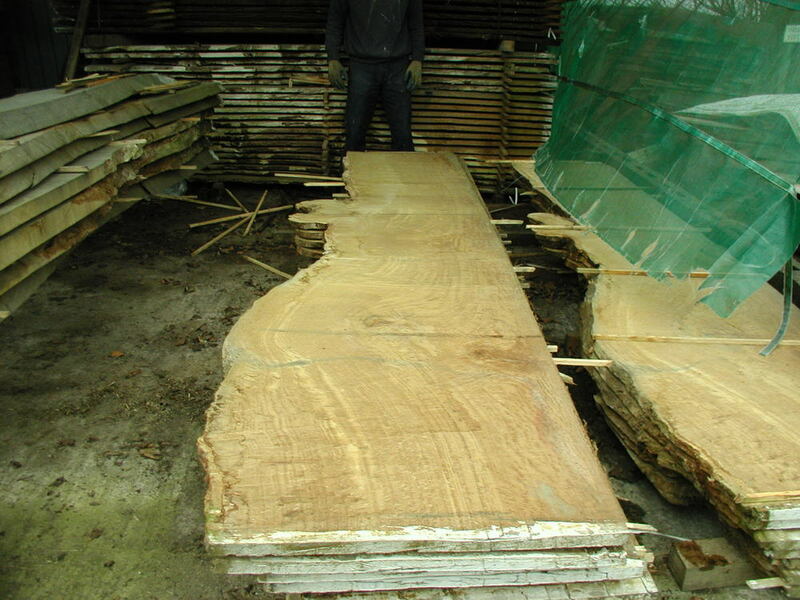 Brown Oak is most often used for architectural purposes. It also produces very nice results for furniture. Email for details about our inventory.